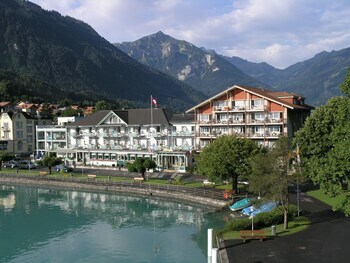 When you a stay at Seiler au Lac in Boenigen, you'll be on the boardwalk, just steps from Swiss Alps and Lake Brienz. Featured amenities include a business center, complimentary newspapers in the lobby, and dry cleaning/laundry services. Free self parking is available onsite. With a stay at La Diligence in Crans-Montana (Randogne), you'll be steps from Swiss Alps and 13 minutes by foot from Violettes Express Gondola. Free self parking is available onsite.